Derek is a Schulich medical student with a strong interest in Critical Care who was seeking exposure to field. After stumbling upon Dr. Arntfield, the curtains were pulled back from his eyes and Derek was suddenly introduced to the world of POCUS. Fascinated by its use in the acutely ill population, he pursued opportunities involving web design / social media for Westernsono, online POCUS curriculum design, the Canadian Resuscitative Ultrasound Course, and research. As the self-proclaimed “CTO” of Westernsono, Derek hopes to earn his stripes in the POCUS realm one day. When not dreaming about dynamic air bronchograms and regional wall motion abnormalities, Derek runs a small kung-fu club in London and helplessly attempts to mimic the chops of the likes such as Jimi Hendrix, David Gilmour, and John Mayer. Chris graduated from medical school in 2014 and is currently in the Emergency Medicine Residency Program at the University of Toronto. He sees untapped potential in the use of bedside ultrasound as a teaching tool in undergraduate medical education. In an effort to improve knowledge translation, Chris helped launch the Point of Care Ultrasound Interest Group within Western’s robust medical student club system. He also contributes to the Western Sono website and has developed an interactive learning module on the fundamentals of point of care ultrasound. Outside of school, Chris is a passionate fan of the Detroit Tigers and Detroit Red Wings. He likens the delusions of Toronto Maple Leafs fans to those rigidly fixed in the glory days of medical stethoscopy and percussion, thought to be sometime in and around the year 1967. Dave is a Schulich medical student with interests in general surgery, critical care and trauma. Through recent exposure to point of care ultrasound via the Western POCUS group Dave has developed a keen interest in improving his personal ultrasound knowledge. In the non-academic setting, Dave is a passionate sports enthusiast whose favourites include beach volleyball, hockey and soccer. From the living room couch Dave is an avid fan of the Ottawa Senators and the Chelsea FC. Ryan is a Schulich medical student with interests in anesthesia, ultrasound guided procedures, and critical care. 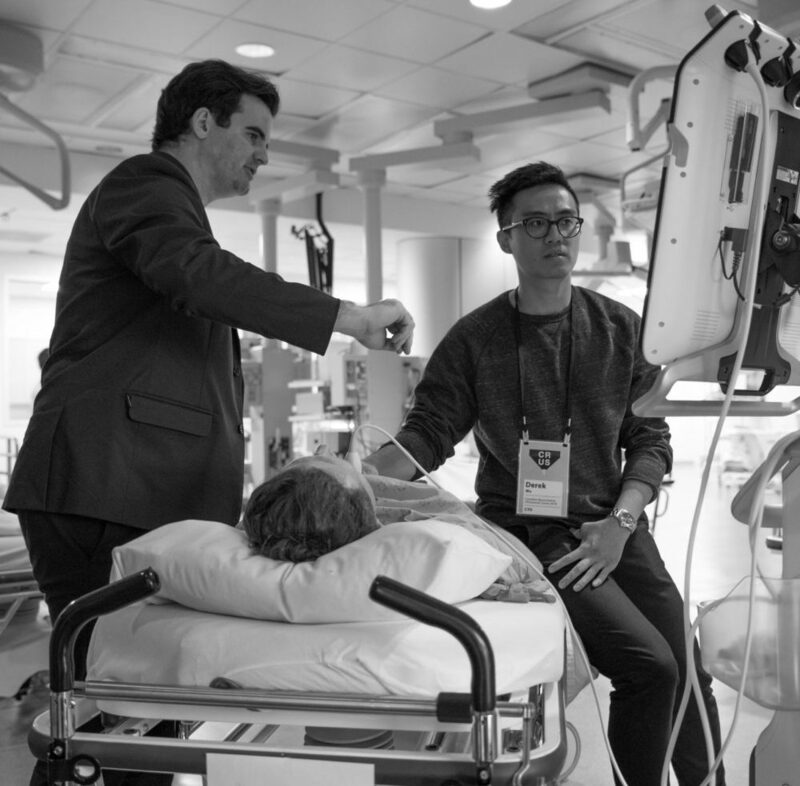 Through the POCUS interest group, he realized the potential bedside ultrasound has to complement undergraduate teaching – from anatomy to the clinical exam (in addition to making up for sub-par stethoscopy skills) . Outside of this, he prefers professional football In lieu of being repeatedly disappointed from a certain team engaging in Canada’s favourite pastime. You can often find him engaging in his many talents including armchair quarterbacking, double bogey golf, and respirating. Nick is a Schulich student with interests in emergency medicine and critical care. His fascination with point of care ultrasound was encouraged through the Western POCUS club and he is very excited to see ultrasound instruction incorporated into medical student training. Outside of the academic arena, Nick experiences the special kind of emotional insecurity that is enjoyed by being born a Toronto Maple Leaf fan. Due to the stress of cheering for his beloved Leafs, he regularly engages in less risky activities such as rock climbing and ice climbing. Justin is a medical student at Schulich with interests in ultrasound guided procedures, emergency medicine, and plastic surgery. His interest in POCUS began after learning about its utility in a wide range of medical environments. He is now passionate about supporting the increasing potential being discovered for its use. When not studying ultrasound, he is seeking out ultra-heavy sounds at the local guitar shop or metal concert. When his ears need a rest he might be spotted outside scaling mountains and camping.